Notes: My first attempt at breakfast pizza back in 2010 was good, but it was missing something. Tonight I figured it out. Sauce. The Maine Maple Glaze I used on a previous pizza with pork was the perfect sauce for breakfast pizza. 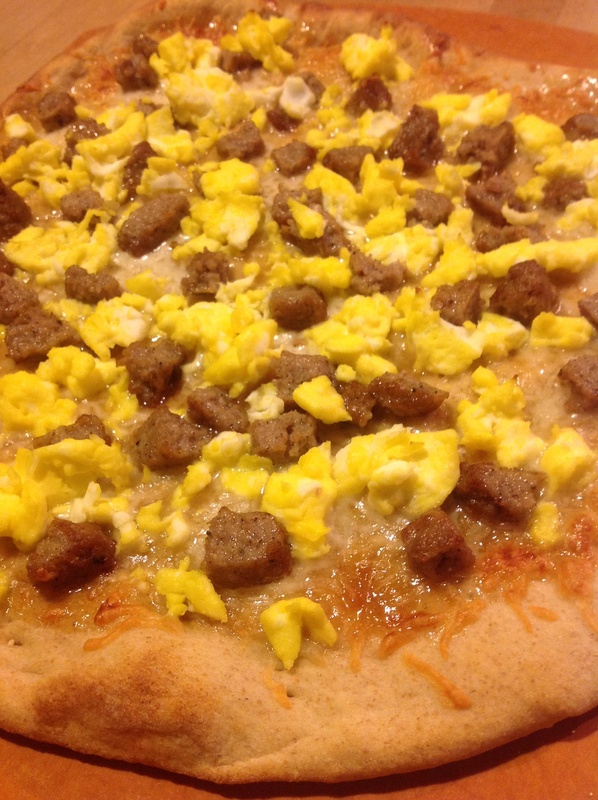 The sweet glaze complimented the savory eggs, sausage, and cheese. This pizza was awesome! This entry was posted in cheddar cheese, cheese, eggs, maple glaze, Meal->Pizza, meat, pizza, sauce, sausage and tagged breakfast, breakfast pizza, cheese, eggs, pizza, sausage. Bookmark the permalink.